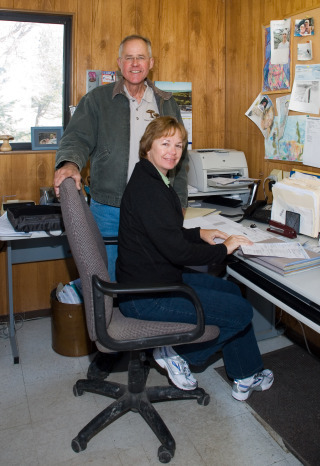 Jim and Toni have operated Hazel Dell Mushrooms since 1980. Toni worries about the payroll and bills and Jim worries about everything else. Jim's educational background is in biology and business. Before starting Hazel Dell, Jim served a 3 year stint with the Fresh Mushroom Division of Castle and Cooke Foods (Dole Pineapple). In that company, he initally worked on mushroom farm budgets and ended as a manager of the mushroom spawn plant. Jared started with HDM in 2010 doing part time maintenance. Over the past years he has become an accomplished mushroom grower and he now oversees all aspects of farm operations and sales. He shares many of his activities with the owner, Jim Hammond. He is a US Army veteran who has been working with us at Hazel Dell for 9 months. 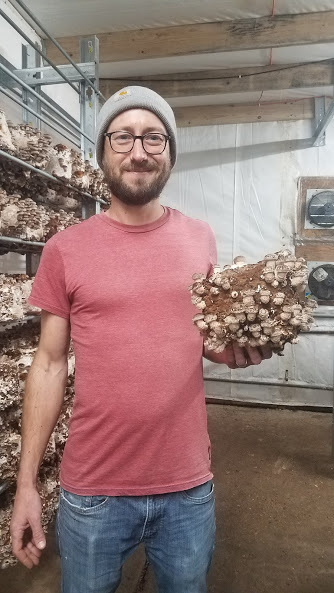 His favorite part of the job is being able to help produce Colorado's highest quality organic mushrooms. He works hard at the farm and he also runs the Farmers Market booth in Boulder on Saturdays. He loves to see how excited our customers are to see us every Saturday! He is learning american sign language to better assist deaf/nonverbal customers so you should come to the market to test his skills! He loves to nerd out on mycology and is an aspiring mushroom cultivator. Say Hi to Luke next time you are at the Boulder Farmers Market!